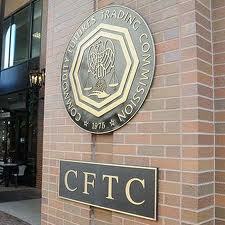 The US Commodity Futures Trading Commission (CFTC) has today announced that it has obtained a federal court consent order against defendants Alex Ekdeshman of Holmdel, New Jersey, and Paramount Management, LLC(Paramount), requiring them to pay $1,146,000 in restitution to their defrauded customers and a $1,337,000 civil monetary penalty. The consent order of permanent injunction also imposes permanent trading and registration bans against the defendants and prohibits them from violating the anti-fraud provisions of the Commodity Exchange Act. According to a ruling by US District Judge Colleen McMahon of the Southern District of New York yesterday, the prosecution stems from a CFTC Complaint filed against the defendants on June 26, 2013. The CFTC’s Complaint charged Mr. Ekdeshman both individually and as the agent of Paramount, with solicitation fraud and misappropriating “the vast majority” of customer funds for business expenses. Specifically, the Complaint charged the defendants with operating a fraudulent scheme that solicited more than $1.3 million from approximately 110 retail customers, to engage in leveraged or margined FX transactions with unregistered off-shore counterparties. The defendants allegedly advised customers that forex trading accounts would be opened in the customer’s name, and would be traded by the defendants on behalf of the customer. Furthermore, the defendants, through a telemarketing sales force and a “Performance Record” linked to their website, touted Paramount’s successful trading record as having yielded an average monthly return of 4.6% over a 20-month period, based on the performance of Paramount’s proprietary trading software system, according to the Complaint. However, the court’s order finds that, contrary to the claims made during the solicitations, the defendants did not manage or trade any customer account, and thus Paramount’s customers neither made actual purchases of any FX nor received delivery of FX. The Order also finds that the defendants misappropriated all customer funds for Mr. Ekdeshman’s personal benefit, and failed to disclose to actual or prospective customers that they were misappropriating customer funds. To conceal their fraud, the Order finds that, during all phases of the scheme, the defendants issued false account statements to their customers, as no individual customer accounts were ever created and no profits were ever generated. The CFTC extended its appreciation to the United Kingdom Financial Conduct Authority, the Financial Services Commission Mauritius, and the Financial Services Board of the Republic of South Africa for their assistance in this matter. Furthermore, the CFTC appreciates the assistance of the Wisconsin Department of Financial Institutions, the National Futures Association, and the Federal Trade Commission. CFTC Division of Enforcement staff members responsible for this matter are Thomas Kelly, Michael Amakor, Michael Geiser, Melanie Devoe, George Malas, Timothy J. Mulreany, Paul Hayeck, and Joan Manley.